Indiana State University science education professors and students joined educators from across Indiana in Indianapolis for the Hoosier Association of Science Teachers Inc.'s 40th Annual State Conference on Science Education. Jim Speer, Indiana State professor of geography and geology, was pleased with the number of ISU participants, including ISU alumni, in the conference. "This was a great professional development exercise for our pre-service students," Speer said. "It was wonderful to see all of the ISU alumni from our programs that are now teaching in Indiana schools." The conference offered both new and experienced teachers a forum for learning and sharing educational strategies that have proven effective in different educational settings. During the course of three days in early February, educational sessions included extended workshops dealing with issues of genetic research, Indiana Public Health Department operations, forensic investigations and computer-assisted research. There were more than 200 presentations about useful methods of incorporating science lessons in elementary, middle and high school classrooms. Participants were also able to interact with applied science at the State Police Laboratory and the Indiana University School of Medicine Research Laboratory. This was the first HASTI conference Speer attended. "I found that it was a great experience with much valuable information for educators at all levels," he said. HASTI encourages and provides teachers with ways on how to conduct successful classroom practices. The association makes a concerted effort to align conference sessions with the Indiana Science Standards. As a result, the conference has developed a strong reputation for inspiring and maintaining best practices in Indiana Science Education. The Center for Science Education hopes to bring in more students and host a dinner for participating alumni for next year's conference. 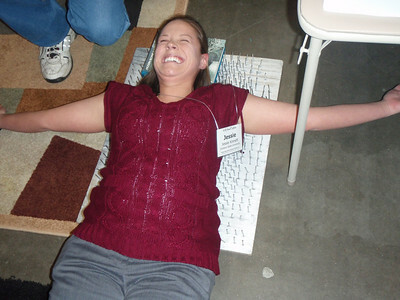 Cutline: Jessie Kinnett, senior science education major from Sullivan, lays on a bed of nails. Courtesy photo. 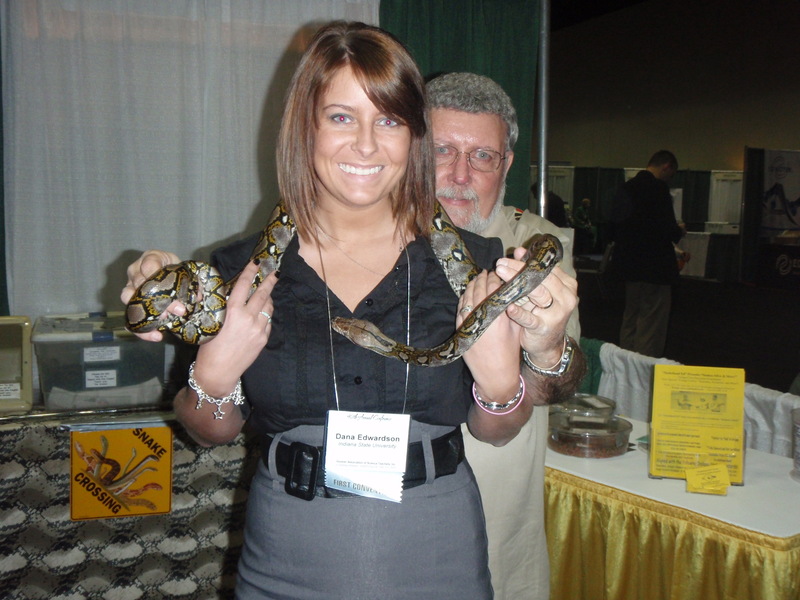 Cutline: Dana Edwardson, senior science education major from West Terre Haute, holds a snake at the conference. Courtesy photo. The Hoosier Association of Science Teachers Inc.'s 40th annual conference took place in Indianapolis.